Regardless of how fun and valuable your social media platforms are, every minute spent on them is a minute you’re not spending on your real work. It can get addicting to sit and hit refresh all day, but what if you could have the same (or a higher) level of quality automatically? Here are the top 5 social media tools that will finally let you lift your head from your phone without worrying about what you’re missing out on. Buffer is a tool that allows you to schedule posts to be published at specific times in the day. If you’re going on vacation for a week, but still want to provide value to your followers, you can schedule up to 100 posts in advance. You can schedule posts in advance across Facebook (Pages, Groups, or even your personal profile), LinkedIn (individual or company profile), Twitter, Google+ and Pinterest. Each post you make through Buffer includes automatic link-shortening, analytics and the option to re-Buffer the same content. If you have trouble thinking of what to add to your social media profiles, Buffer even has a easy-to-use browser extension that will allow you to share content you like with just one click. You no longer need a graphic designer on-hand to create engaging images to add on to your social media. Pablo is a free tool that lets you create clean graphics that you can tack onto your social media posts in less than a minute. It’s seriously simple. Adding images to your social media posts can often double the amount of click throughs, likes, retweets, and comments. Now, with Pablo, you have no excuse to leave this tactic off the table. Do you struggle to remember to follow-up with your professional contacts because you just don’t know what to say? The LinkedIn Connected app automatically tells you when important things like birthdays, promotions, and anniversaries happen. This makes it easy to reach out and say something genuine. What if someone’s not already a long-time contact and you’re meeting them for the first time? No problem! LinkedIn Connected gives you information about what your contact is interested in and what you have in common. You no longer have to do hours of research crawling through their social media profiles, LinkedIn Connected will tell you the information that is most relevant to you within minutes. You know that blog post, podcast, or video that was a mega hit… a year ago? There’s a way to make it fresh, new, and valuable again — within minutes. Haiku Deck makes it incredibly simple to make visually appealing presentations that you can automatically publish to SlideShare. Top decks on SlideShare sometimes get over 1,000,000 views, giving your content a whole new medium to shine. 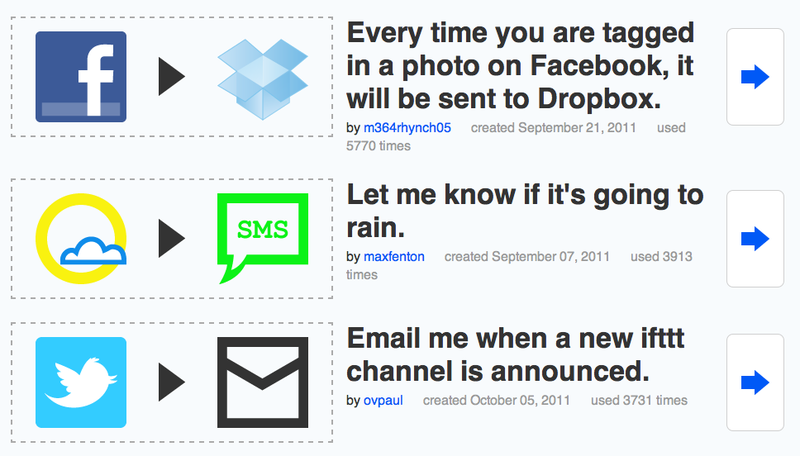 IFTTT is the ultimate automation tool. People have used it in thousands of different ways, from getting an email whenever there’s a recurring task on your to-do list or automatically republishing Instagram picture to Twitter as an image instead of a link. IFTTT is limitless, and plenty of people have posted their “recipes” publicly to give anyone an idea of just how far-reaching the uses of IFTTT are. It integrates with all the apps you can think of, and it’s adding more each and every day. This app won’t only automate your social media, it has the potential to automate your entire life. Using these tools, you can finally sit back and relax. You can engage and delight on social media without actually having to e there anymore. Now go out, and make it happen.